So what different types of rocks are there? There are three main groups of rocks - igneous, sedimentary and metamorphic. Igneous rocks have got their name from Latin "ignis" for "fire", and it makes sense because these rocks are formed by volcanic activity. There are two types of them: intrusive igneous rocks, which form from molten magma under the surface, and extrusive igneous rocks, which form from lava above the surface. They form when lava/magma cools. 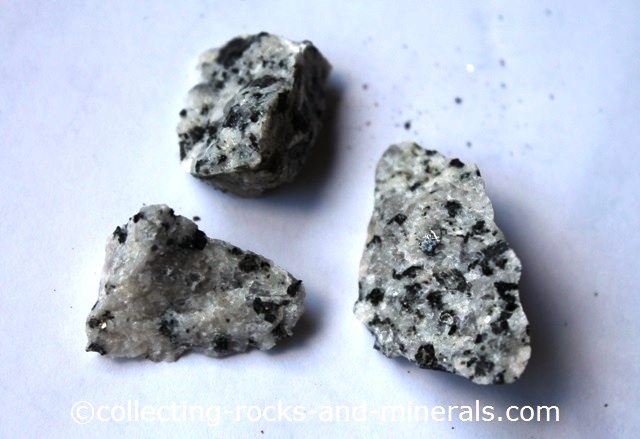 As you can see on the photo below, igneous rocks are characterised by distinctive grains and interlocked mineral crystals. Grain size is one of the keys for their identification, but generally the quicker the cooling of magma/lava was at the time of their formation, the smaller is the grain size. This is why extrusive igneous rocks have smaller grain size than intrusives. The second group is sedimentary rocks - rocks that have formed from sediments, under the pressure from new layers that build above the older layers of sediments. Even here we have different groups such as clastic, chemical, biochemical and organic sedimentaries. 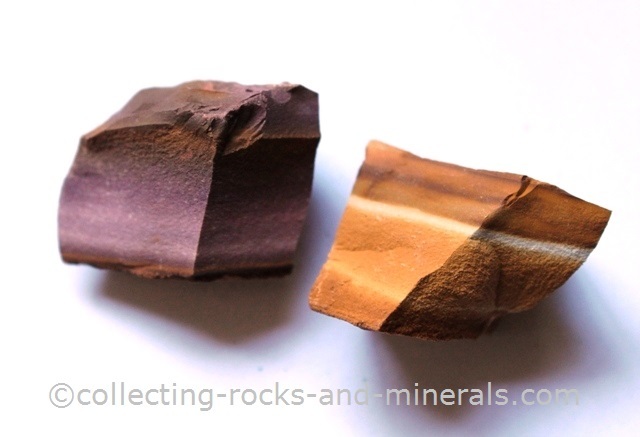 You can often recognise a sedimentary rock from its fine grain size (although there are exceptions), "sandy" texture, and often from its layers. Sedimentary rocks are the only rocks that sometimes contain fossils. 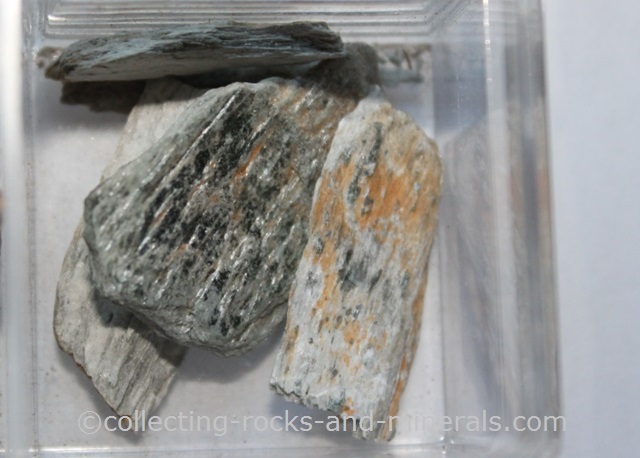 The third group, metamorphic rocks, are the rocks that have formed from igneous, sedimentary, or other metamorphic rocks by changes caused by pressures and temperatures. While igneous rocks also form by pressures and temperatures, the difference with metamorphics is that they reform in solid state - they are compressed, streched and twisted but as opposed to igneous rocks they don't melt in the process. Because they are often compressed and stretched, many, but not all metamprophic rocks are foliated. If you find a rock with strong foliation, you can be sure that of the three different types of rocks it's a metamorphic rock. The main groups of metamorphic rocks are contact metamorphics, which form by heat alone, and regional metamorphics, which form both by pressures and temperatures. The latter are often "schisty"- they are very distinctively layered, in a different way from sedimentary layers, because the bonds between the layers are weak so the layers are very easily broken off.